Do want to experience the true Montana lifestyle? Are you keen to take a vacation where you can disconnect and enjoy the life and culture of the American West? Then you need book a trip to stay at a guest ranch near Big Sky. Staying at a guest ranch is a totally unique and exciting experience. 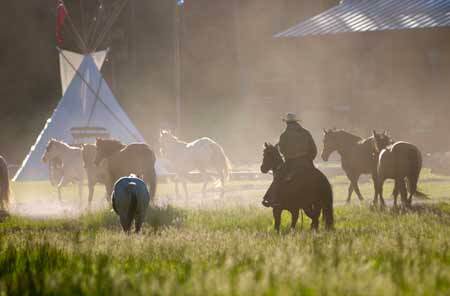 Guest ranches invite people with open arms to come and experience the genuine and authentic traditions of wild Montana. These historic ranches have been around approximately 100 years or more. They are rich with history and run by families and owners who want to preserve and maintain the Montana experience. 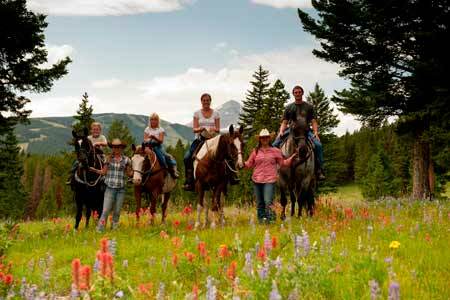 When you stay at a guest ranch near Big Sky, you'll be welcomed into a friendly and vibrant atmosphere. Guest ranches promote a laid back lifestyle where you can reflect on nature and enjoy the great outdoors. It's a fantastic way to escape the "real" world and enjoy the simple things in life. 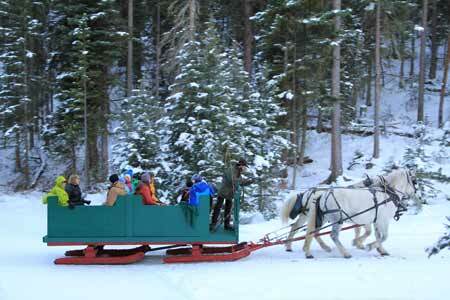 Whether you're on a hike in the mountains , on a horsback ride or a horse packing trip through the wilderness with an experienced wrangler, fly fishing on the crystal clear streams and rivers of Big Sky Country, enjoying a sleigh ride dinner, or logging some quality time with your family, you're going to love guest ranch life - and so will your kids! Which guest ranch near Big Sky will you stay at first? 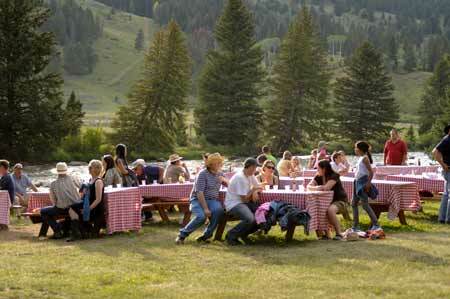 Lone Mountain Ranch - Established 1915 - Lone Mountain Ranch is situated right in Big Sky, Montana. This luxurious guest ranch is one of the country's topic nordic ski destinations. It is also one of National Geographic's Unique Lodges Of The World! Nine Quarter Circle Ranch - Established 1912 - Located along the Taylor Fork in the southern Madison Range, the Nine Quarter Circle Ranch is a working horse ranch that "welcome travelers and introduce them to the ways of the West." 320 Ranch - Established 1898 - Nestled in the Gallatin Canyon just south of Big Sky along the Gallatin River, the 320 Guest Ranch backs on the Gallatin Range and is "the perfect place to hang your hat for a visit to 'the old west'." Covered Wagon Ranch - Established 1925 - Located just a few miles north of the Yellowstone National Park Boundary at the confluence of the Gallatin River and the Taylor Fork, the Covered Wagon Ranch claims to be "the best place to experience the West and the finest hospitality you’ll find anywhere." The next time you visit Montana, stay at a guest ranch near Big Sky. It's the experience of a lifetime. Many families go once and keep going back every single year because it's so spectacular. If you don't stay at one, visit one for the day and get a taste for why ranches are such an important part of Big Sky life. Are you ready to experience the real Montana?